This is NOT Florida. I was ready to shoot this arch of 300 year old beech trees over a road when the cyclists decided it would be a great place to stop. It only took a shor while to load their bikes and they were off leaving the field of view clear. This entry was posted in Scenic and tagged Photography. Bookmark the permalink. 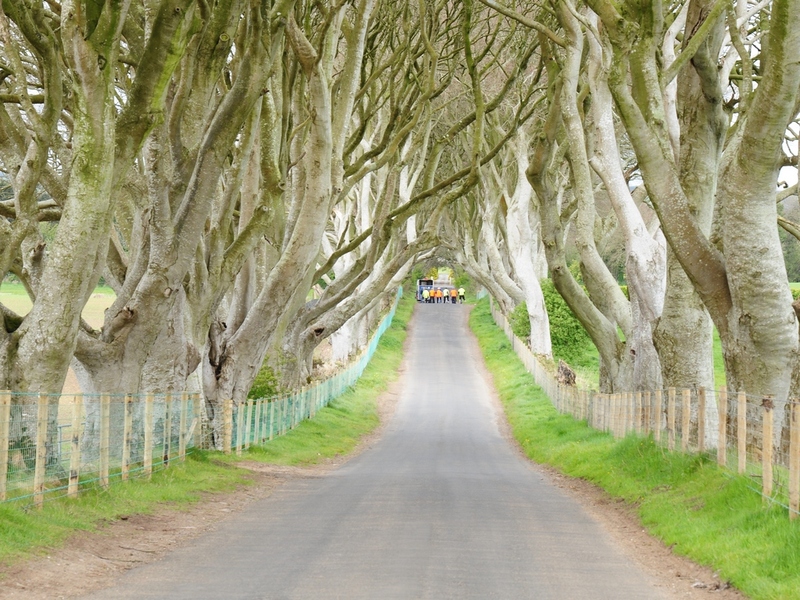 Yes, a place called the Dark Hedges near Ballymoney.